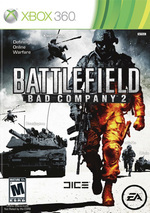 Like the original Battlefield: Bad Company game, Bad Company 2 is a first-person shooter following the exploits of Company "B" of the US Army's 222nd Battalion. In this new adventure, the more mature yet still infamous company of misfits are tasked with interceding in a series of conflicts that have the potential to ignite of a new World War. 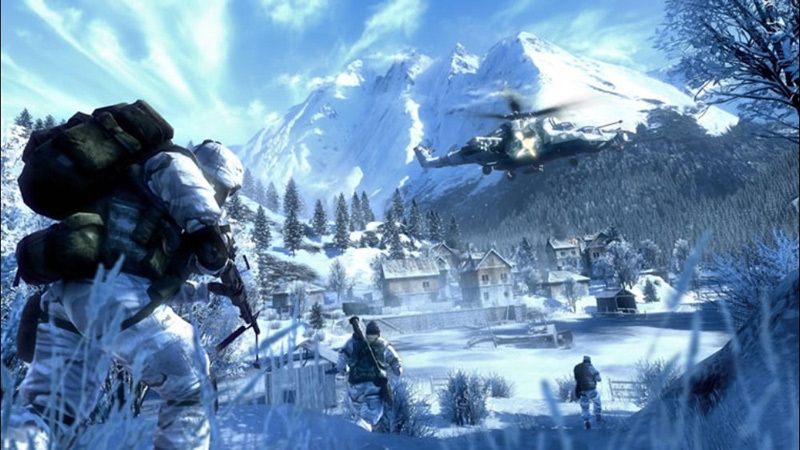 Game environments cover snowy mountains, all the way to jungles and deserts. Though the campaign doesn’t top the brilliant set pieces found in Modern Warfare, the drastic improvements bring it near the level of Infinity Ward’s juggernaut. 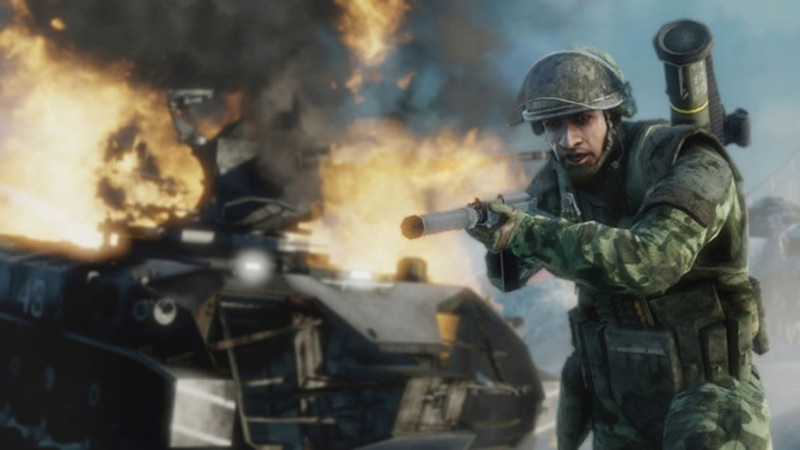 Placed in tandem with the exceptional multiplayer, Bad Company 2 is a memorable shooter that should be a favored destination on Xbox Live and PlayStation Network for much of 2010. 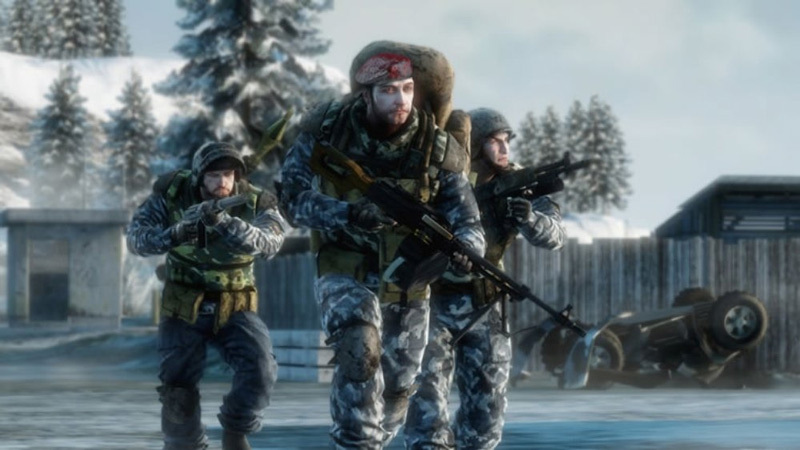 Battlefield Bad Company 2 is still trying to play catch-up with its much older, PC brethren. But if you’re looking for this kind of experience on the consoles, it has few equals. The campaign could use some creative spark, but it’s the staying power of the multiplayer that wins the day. If you look to get the most out of your money with video game purchases, you can’t go wrong with Battlefield Bad Company 2. With huge draw distances, great destruction effects and top class lighting, the game world feels real. In the middle of combat you'll feel in real danger, the sense of being pinned down being greater here than in any other FPS I've ever played. What makes the visual splendour so much more impressive is the size of the levels. Bad Company 2 is a stunning game, one of the best of this console generation and only bettered by the likes of Crysis and Killzone 2. That huge feel has always been the big differentiator between the Battlefield series and other first-person shooters, and Bad Company 2's multiplayer has plenty of that to go around. 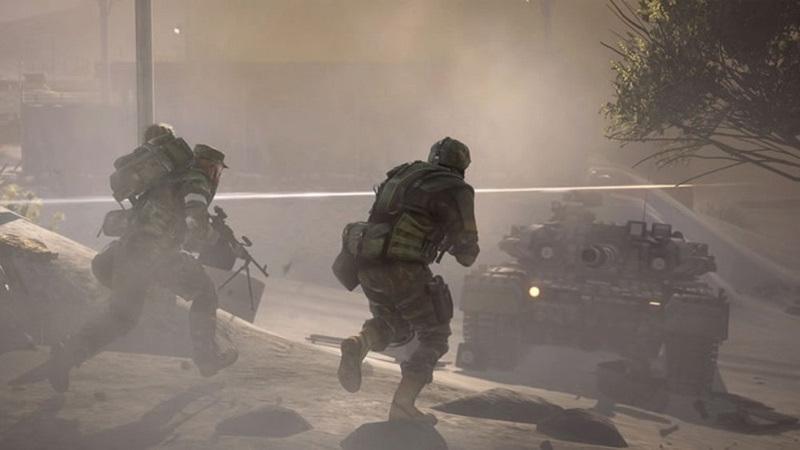 Where the first Bad Company felt like a solid take on placing the PC-friendly Battlefield experience on consoles, Bad Company 2 settles in and feels right at home on both consoles and PC. This no longer feels like a compromise made to keep the console kids busy while PC owners wait for the next "real" Battlefield game. Whether the game is worth purchasing entirely depends on how interested you are in owning another online first-person shooter. 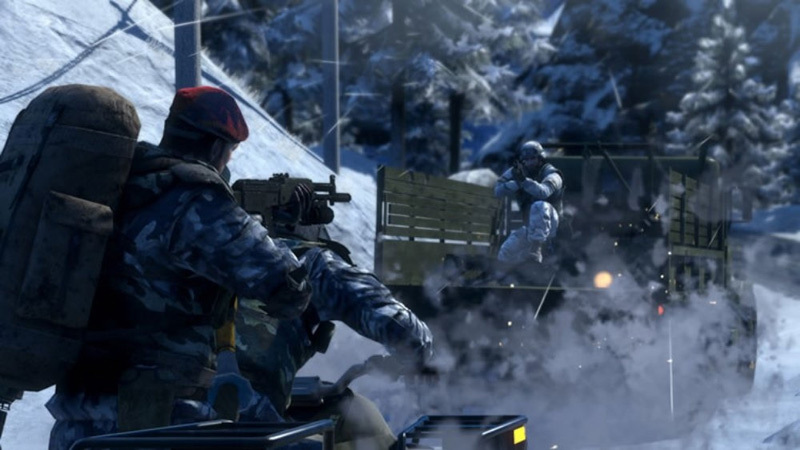 Bad Company 2 is undeniably going to contain the next big multiplayer scene for some time to come. If you are interested, even slightly, absolutely buy this game. Stop reading this review right this second and go get it; don't even look at the score. Everyone else, especially those of you who are strictly into gaming by yourself, it's simply not right for you. With all the different classes, vehicles, and stationary weapons (like heavy machine guns and mounted rocket launchers) at play, there is a dazzling array of ways to wage war. These tools, coupled with the threat and promise of destructibility, make Bad Company 2's battlefields uniquely chaotic and electrifyingly fun. The action is top-notch in both campaign and multiplayer alike. Whether or not you're looking for a new shooter in your life, you owe it to yourself to play Battlefield: Bad Company 2. DICE have put a lot of work into making the multiplayer experience a seamless joy to behold and for once it’s the singleplayer campaign that almost seems like the afterthought. I was planning on putting a serious investment of time into Mass Effect 2 in the coming weeks, but now Battlefield: Bad Company 2 has got its hooks into me I don’t think any games, especially Modern Warfare 2 will be gracing my console for quite some time. Estamos ante una nueva vuelta de tuerca a la mecánica clásica de todo Battlefield. En este caso se ha incluido un modo para un jugador de lo más intenso, que pierde algo de libertad que caracterizaba al primer Bad Company en pos de aumentar la tensión y emoción de cada misión. Su duración es algo limitada y puede que tenga un tono menos épico que el original, pero aún así mantiene un gran nivel gracias a su extraordinario apartado técnico, el excelente doblaje al castellano y a la variedad de situaciones que presentará. Pour pas mal de raisons, Bad Company 2 pourrait bien passer pour le négatif de son grand frère. En effet, alors que le premier opus nous offrait une campagne délirante en dépit de ses lacunes et un multi un peu léger, voilà que cette suite se contente d'un solo efficace et maîtrisé, mais qui ne laissera pas de souvenirs impérissables, avant de faire péter la baraque avec un redoutable multijoueur à ne manquer sous aucun prétexte ! Afflitto da una singolare crisi di identità nel single player ma pericolosamente assuefacente in multiplayer, Bad Company 2 non ridefinisce il genere degli FPS ma si conferma shooter solido e divertente. Il dovere, però, non fa per la B-Company: meglio una granata con uno smile. Battlefield: Bad Company 2 bevat precies dezelfde formule als zijn voorganger, maar dan beter. De singleplayer is kort maar intens. Daartegenover staat echter een geweldige, uitgebreide mutliplayer. Hierin is de destructieve omgeving uniek en een belangrijk gameplay element. Door de goed doorgedachte modi, de vier zeer uitgebreide klassen en vette mappen, zul je waarschijnlijk nog lang de multiplayer van het spel blijven spelen. Op grafisch gebied ziet de game er ook nog eens geweldig uit. Jag känner mig väldigt splittrad vad gäller Battlefield: Bad Company 2. Själva äventyret är enligt mig så pass Modern Warfare 2-skadat att det inte längre underhåller och att Dice offrat det mesta som gjorde föregångaren älskvärd gör mig sorgsen och besviken. Samtidigt är multiplayer-delen helt fantastiskt bra och toppas endast av den tidlösa briljans som Battlefield 2 fortfarande erbjuder.